After any DIY project comes to an end, there are usually bits and pieces left over – paint, wood, flooring, tiles etc. You might be lucky and able to take unopened items back to the shop, or sell them on an online auction or free-ads site. Some local authorities run recycling projects, so it’s always checking to see what’s available in your area, or perhaps there are community projects locally who will gratefully take DIY donations. Reusing, recycling or upcycling can help you save money, and crucially it means less waste and less rubbish going to landfill. Of course, it’s definitely worth keeping extra tiles and laminate or wood planks in case you need to replace them. Companies frequently introduce new products and colours, and there’s a chance you won’t be able to buy replacements further down the line, which is very frustrating. 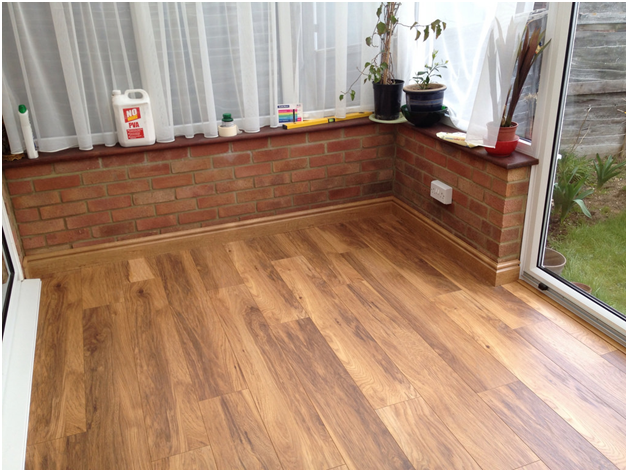 You can also lift and re-lay laminate flooring if it’s the click and lock style and hasn’t been glued down. You will need to do this carefully, making sure you remove any skirting boards and beading first if they sit on top of the existing floor. You’ll probably need to buy new underlay and beading, but it’s a very small cost when you consider how much you’ve saved by reusing the flooring. 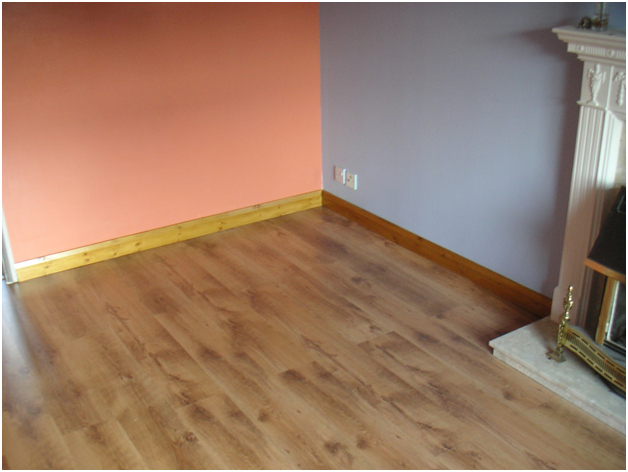 Modern laminate flooring is extremely durable and if it’s in good condition it should last many years. If it’s a bit scuffed here and there then you could always embrace the distressed wood floor trend, which can be seen in all sorts of interior and home magazines. If the old laminate isn’t suitable for reusing as flooring in another room, this look can also be achieved by buying a distressed style laminate, as seen at flooring specialists like wood floor warehouse. If after laying or re-laying laminate flooring you still find yourself with a surplus of laminate flooring, you could turn your hand to a little creative DIY project. Good quality laminate can be used as table tops, table mats, as veneer on chipboard shelving or panelling for walls – there are countless ways you can recycle all sorts of DIY ‘leftovers’. The internet is a rich source of ideas for all levels of DIY expertise, and creating something new out of something old is very satisfying, knowing it’s unique to you.